It's important for you to protect against unauthorized access to your password and your computer. Be sure to close your browser when you've finished using a shared computer. 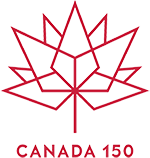 If you choose to visit FaithInCanada150.ca or Cardus.ca, your visit and any dispute over privacy is subject to this Notice and our Conditions of Use, including limitations on damages, arbitration of disputes, and application of the law of the province of Ontario. If you have any concern about privacy at FaithInCanada150.ca or Cardus.ca, please contact us, and we'll try to resolve it.